South Korean prosecutors will speed up their probe into the alleged accounting fraud of Samsung Biologics, focusing on securing evidence as to whether Samsung’s now-defunct control tower was involved. Investigators plan to summon former and incumbent employees of the biotechnology firm within the week, according to sources Sunday. The prosecution raided the main office of Samsung BioLogics in Songdo, Incheon, over the allegation that the company had illegally inflated the company’s value. Separately, it also searched four auditors -- KPMG Samjong, Deloitte Anjin, Samil PwC and EY Han Young -- over the alleged fraud. The investigators plan to start analyzing confiscated documents and are also considering when to summon related people. They are expected to focus on securing evidence to prove alleged illegal activities between Samsung’s Future Strategy Office -- the group’s former core governing body -- and Samsung BioLogics, and how the two had collaborated in inflating the company’s value. Prosecutors believe that Samsung’s former control tower had orchestrated the scheme for the smooth leadership succession of Samsung Group’s heir apparent, Lee Jae-yong. The office of Samsung Vice President Kim Yong-kwan, formerly an executive at Samsung Group’s Future Strategy Office, was also raided. Kim was in charge of internal auditing of Samsung Biologics when the firm was preparing for its 2016 market debut. The prosecutors’ investigation began in November, when the Securities and Futures Commission, the auditing arm of the Financial Services Commission, reported the case involving Samsung Biologics to prosecutors. The financial regulator ruled that Samsung BioLogics had inflated the value of its business by 4.5 trillion won ($4 billion). The alleged accounting fraud helped boost the value of Cheil Industries, which held a 46.3 percent stake in Samsung BioLogics in 2015. At the time, Lee Jae-yong was a major stakeholder in Cheil. With the inflated value of Cheil, Lee smoothly became the largest shareholder of Samsung C&T after the 2015 merger of Cheil and Samsung C&T, another key unit of South Korea’s largest conglomerate. Local civic groups said Samsung BioLogics’ violation of accounting rules was ultimately aimed at helping Lee’s leadership succession, calling for the tech giant to clarify allegations related to the succession process. “The key (objective) of Lee’s leadership succession is to tighten his grip on Samsung Electronics. ... Samsung BioLogics was an useful (tool) for Lee to cement his power in Samsung C&T, as the biotech firm unlisted (in the market back then) had no big outside investors (to watch out for) and it was a new company which made it difficult to evaluate its business value,” said Jun Sung-in, a professor of economics at Hongik University, during a seminar hosted by two local civic groups, Lawyers for Democratic Society and People’s Solidarity for Participatory Democracy, on Thursday. Samsung C&T, a majority shareholder of Samsung BioLogics with a 43.44 percent stake, holds 4.65 percent of Samsung Electronics. 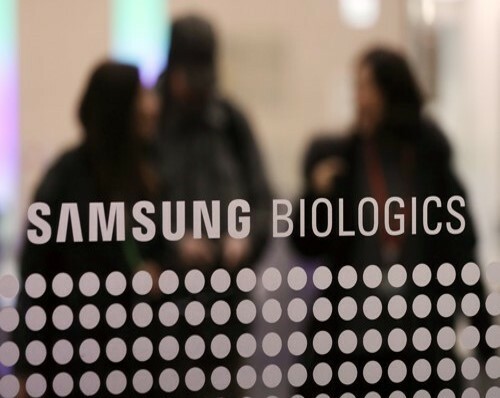 Samsung BioLogics has denied any wrongdoing, claiming the change in accounting methods complied with international accounting standards. It has also lodged an administrative suit in objection to the FSC’s decision.